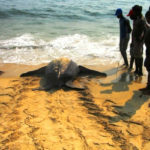 I first became aware of the environmental crisis facing Freetown while living there in the summer of 2006. That year, the rains that usually begin towards the end of April came late. As May became June, Sierra Leone’s government began to ration drinking water from the Guma Dam, the primary water source for the capital. By July, Guma had fallen to its lowest level since records began. I watched in disbelief as people on the streets of the nation’s capital scooped water out of sewage ditches to take home and boil, and helped the family I was living with build a rainwater capture system on their rooftop. In the end, the rains came, but the implications were alarming. Population growth, deforestation and lack of planning were bringing Freetown to the brink of sustainability. Loss of forest cover affects the capacity of the hills to absorb rainwater and control its flow. But water shortages were only part of the problem. Heavy runoff and siltation of the city’s drainage system, coupled with poor waste management, were leading to flooding in urban slums during the rains. Up in the hills, multistorey houses were being built on perilously steep slopes once covered by trees. 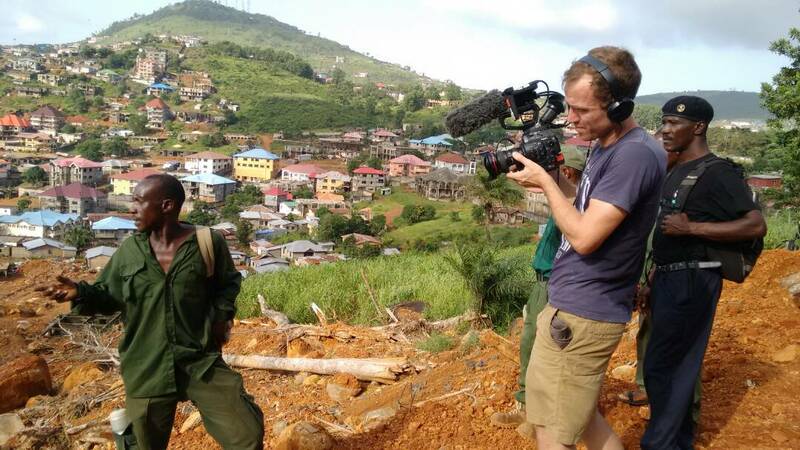 Shortly after I returned, I began to work with architect and filmmaker Nazia Parvez on Lost Freetown, a documentary film that sounded a stark warning of where the city was headed. Nazia’s film was completed and screened to NGOs and local stakeholders, to a positive response. But little was done to address the problems. Land was – and still is – doled out freely by politicians to their loyalists. Permits and paperwork are issued regardless of the location of the property being built. Shacks that are marked for demolition remain standing, and catchment areas are encroached upon with impunity. In October 2017, I flew to Sierra Leone to film the aftermath of the worst natural disaster the country has ever seen. The causes of the landslide, which had killed 1,141 people and struck a crippling blow to the community of Regent, were hotly debated. The mayor of Freetown, bizarrely, suggested an earthquake. Some thought it was an act of God: a once in a lifetime event with no precedent and no significance. But there were others who knew the truth. They saw a link to the flooding and water shortages that now affect Freetown every year. They remembered the landscape of the Freetown peninsula before the civil war drove people to the city: a landscape of dense forests and clear streams. Today, those tracts of forest are being stripped from the hillsides, leaving bare and eroded peaks that shed their silt when the rains fall. And the rains themselves, driven by climate change, are getting worse. Of those who have spoken out, the most passionate and committed has been Bala Amarasekaran, founder and director of the Tacugama Chimpanzee Sanctuary. An accountant by training, Bala converted to conservation after adopting a baby chimp, and set up Tacugama to protect the species. The sanctuary grew, and Bala’s cause soon moved beyond chimps and towards wider protection for Sierra Leone’s environment. They delivered their message to school kids, in part because they knew those in power would not listen. Two weeks later, dozens of those same children were dead – lost beneath the thousands of tonnes of earth and stone that slipped off the mountainside on the morning of August 14. The staff at Tacugama were among the first to respond: setting up relief stations where displaced people could be fed and raising money for those orphaned by the disaster to continue their education. Fiercely outspoken, he had little time for the crocodile tears shed by government officials in the wake of the disaster – a disaster that was easily foreseen. The laws in Sierra Leone, he points out, are on the books. The institutions and ministries are there and are staffed in many cases by educated and sympathetic people who understand the issues, but corruption and lack of political will have stifled any efforts to move forward. There is no silver bullet that would have prevented the Regent landslide – no single cause for the disaster. A report by the World Bank points to a complex of issues that caused the slope to collapse: record-breaking rainfall and the nature of the slope itself played a major part, compounded by human interference. Landslides have happened in the past, although none have caused such catastrophic loss of life. But the links between what happened last August and the wider issues facing Freetown is undeniable. These problems are not insurmountable. Sierra Leone does not have a population problem. Vast empty plains stand outside the city, ripe for development and human habitation. With planning and help, trees can grow back quickly – as Bala has proved again and again. Nor is Sierra Leone unique. Similar problems are faced elsewhere in Africa, and other countries have overcome them in the past. But the relationship between Freetown and the forested peninsula that surrounds it is acute. The country is poor, and climate change is looming. Action is needed now. The international community has rushed to the aid of those affected by the landslide, and rightly so. But it is Sierra Leone’s political and professional class that have the biggest role to play in solving these problems. To neglect the situation further will only increase the cost in years to come, a cost the country is ill-equipped to pay. Those with a proven commitment to Sierra Leone’s future and to solving the challenges that lie ahead must be listened to, and we should support them at every turn. Author’s note: I’d like to express my deep gratitude to Bala, as well as to architects Manilius Garber and Gwyn Jay Allan, for giving their time and expertise and speaking out on these issues for this film, and to Nazia Parvez for permission to use excerpts from Lost Freetown.